This week it's my great joy to welcome a guest post by fellow #SmallWonder host Amber Cadenas. Amber blogs regularly at Beautiful Rubbish: everyday art of learning to see. In her own words, Amber "writes with the hope that others might be inspired to see their own lives through different eyes." I want to encourage you to take a little time to poke around her blog and get lost in the stories there - stories as deep and painful as they are beautiful. 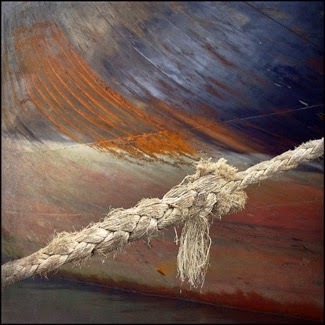 anchored in love's frayed tether. Holy moments. Thanks for sharing, Amber. Oh, Amber....what a beautiful image. This is lovely, Amber. Thank you! It may fray. But it HOLDS. Yes, you got it. That's exactly it, friend.